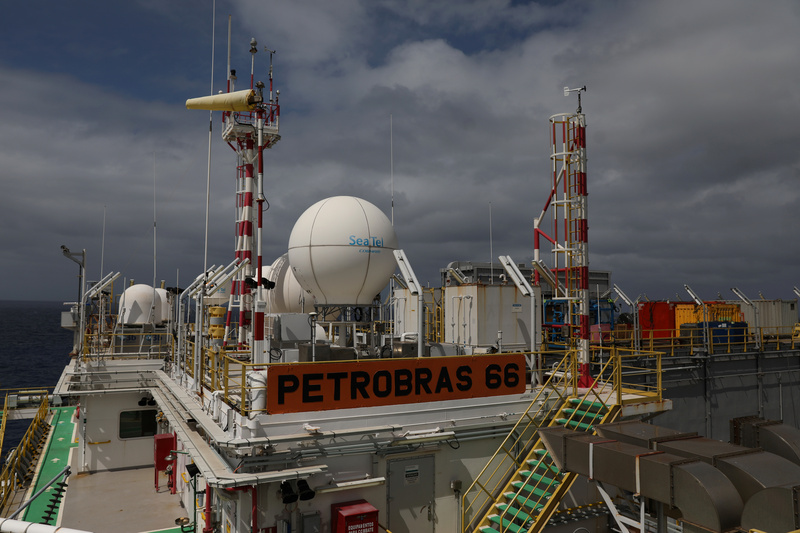 A structure of the Brazil's Petrobras P-66 oil rig in the offshore Santos basin is seen in Rio de Janeiro, Brazil September 5, 2018. Petroleo Brasileiro agreed to pay $853 million in penalties to resolve a U.S. government investigation of alleged violations of the Foreign Corrupt Practices Act in the state-owned energy company’s payments of millions of dollars in bribes to Brazilian politicians and political parties, the U.S. Department of Justice said on Sept. 27. Petrobras’ American depository shares traded on the New York Stock Exchange while the bribes were being paid and certain Petrobras executives signed false certifications of the company’s results under the Sarbanes-Oxley law, the DOJ said. “Those who choose to access our capital markets while failing to disclose the corrupt activities of company executives will be held accountable,” U.S. Attorney Zachary Terwilliger said in a statement. Brazil will receive 80 percent of the penalties to be paid by Petrobras, with the rest going to the DOJ and the Securities and Exchange Commission.